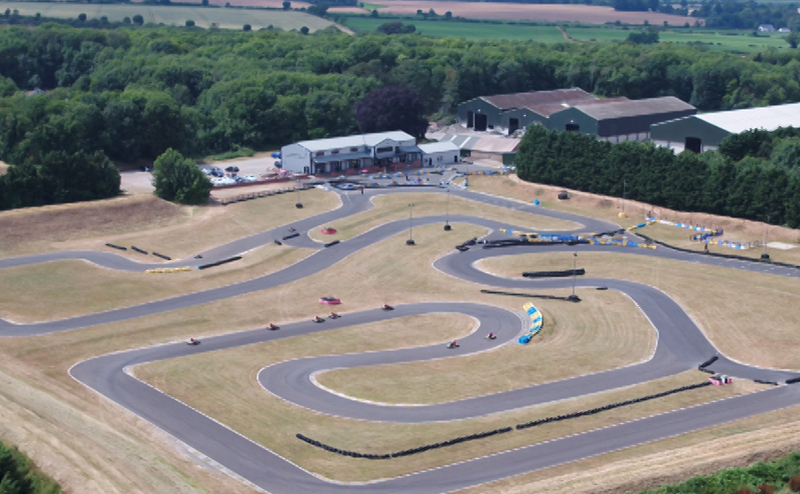 Ancaster Leisure is in pole position leading the way improving the standard of karting facilities for over 25 years now. MARCH & APRIL EXCLUSIVE OFFERS! Practice or “arrive and drive” sessions are ideal for first timers or people looking to hone their racing skills. The sessions are run in 15 minute blocks with breaks in-between, computerised lap timing may be available. During the Grand Prix events all participants are on circuit at the same time, the event will start with all the drivers doing a qualifying session to determine the start positions for the race, drivers will then enter into a straight race. Awards are issued to the top three finishers. The Club Challenge starts with a practice and qualifying for all drivers, each driver will then battle their way to the top spot on the podium in the final race. Awards are issued to the top three finishers. These events start with a 20 minute qualifying session, the teams fastest qualification lap time will determine the start position for the race, driver changes are done every 15 minutes during the race. Awards are issued to the top three finishing teams. All participants are on circuit at the same time, the event will start with all the drivers doing a practice/qualifying session to determine the start positions for the race, drivers will then enter into a head-to-head race to make their way onto the podium. Awards are issued to the top three finishers. We can accommodate bambino drivers on most days with prior notice, however we do offer a specialised kids club style driving sessions on Sunday mornings, which is ideal for complete beginners. These sessions are perfect to give younger children the chance to try karting in a friendly, children only environment. Each session consists of all safety equipment (overalls, helmet, gloves), safety briefings and tuition and assistance as required. The bambinos will have in total 20 minutes of track driving time, in 2 x 10 minute driving slots. You will need to allow around 1-1.5 hours to complete the sessions. £25 per child all inclusive. Adult prices can be found by clicking the button below. Not for you? Purchase a membership for a family member or friend. Apart from the great discount benefits, regular customers get the relief of only needing to attend an annual safety briefing rather than every time you visit. Want to race against like minded racing enthusiasts? Our Inkart championship is perfect for those wanting to race without the hassle of maintaining or storing their own kart. With our Gold level membership you get a reduced race entry for each of the 8 rounds that are run throughout the year. Call us on 01400 230306 to purchase a Membership. For all arrive and drive sessions there is a minimum age of 10 years. For all events all participants must be 16 years or over. WHAT IS THE MINIMUM HEIGHT FOR KARTING? DOES MY SON/DAUGHTER NEED TO MEET BOTH HEIGHT AND AGE REQUIREMENTS? We run in all weather conditions, it is recommended that you bring a spare change of clothes for after your session if needed, the venue will contact you two hours before the required arrival time if cancellation is required. DO YOU PROVIDE WATERPROOF SUITS? Our race suits are not waterproof so we do advise to bring a towel and a spare change of clothes. WHAT HAPPENS IF SOMEONE DOESNT TURN UP TO MY EVENT? Yes we provide overalls, helmet and gloves, balaclavas are available for purchase. CAN WE PUT STICKERS/LABELS/BADGES ON OUR HELMET/OVERALLS? No we do not allow things to be attached to our equipment. Yes we have a café and fully licensed bar onsite along with sweet and drink machines.